However you take your eggs - and whatever your ideal brunch experience - Albany has it all! The next time you're looking to go out for brunch, consider one of the spots below. Please note: Hours and menus are subject to change. It's always safe to contact the restaurant ahead of time for details. The City Beer Hall has an extensive brunch menu ranging from classic breakfast items to exceptional sandwiches and salads. Choices for breakfast include chicken and waffles, hash and eggs benedict, and huevos rancheros. 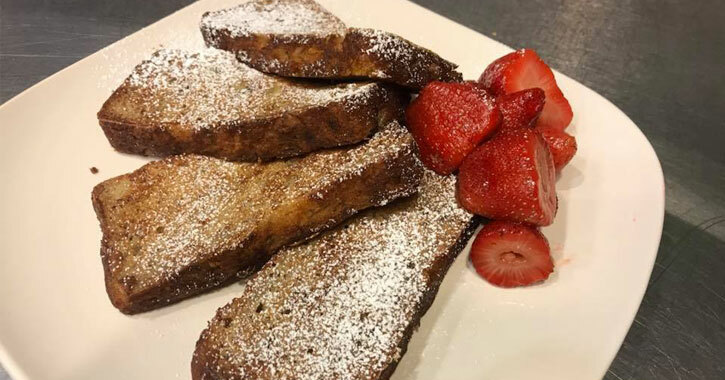 Those with a sweet tooth will enjoy options like chocolate peanut butter French toast and Belgian waffles and berries. Brunches at The City Beer Hall are appropriately named "Beer Brunches," and they happen every Saturday and Sunday from 11am to 3pm. 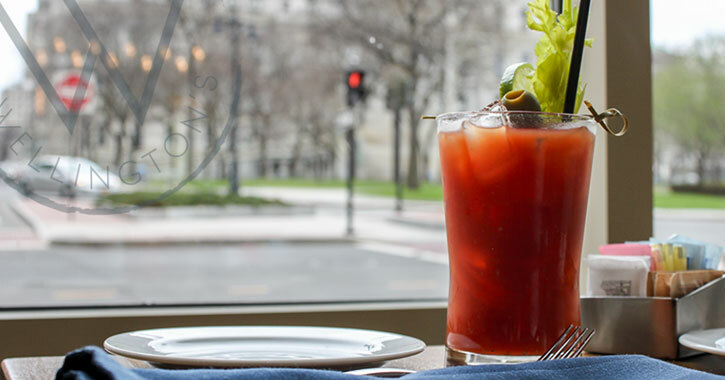 Your brunch entree includes coffee and your choice of either a craft beer, a bloody Mary, a mimosa, or a screwdriver. Cheers! 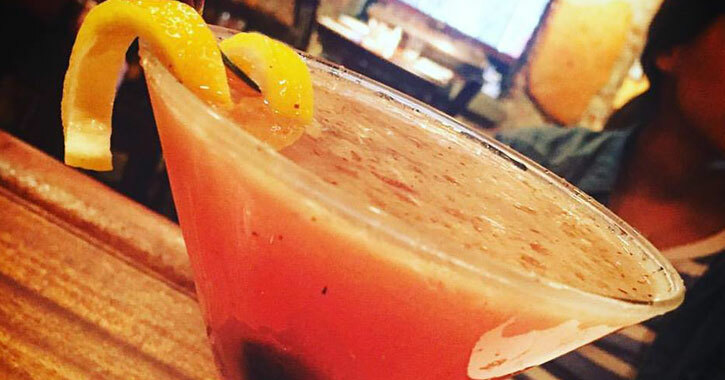 Brunch cocktails, brunch bowls - have it all at New World Bistro Bar! The brunch menu is divided into NWBB Bennies, Legendary Latkes, Plates, Big Hash Plates, Pika's Artisan Liege Waffles, Rice Bowls, and Breakfast Bowls. There are also delectable side orders and tempting brunch cocktails, like the Elderflower Cocktail with Elderflower liqueur, cava, club soda, and a lemon twist. You can check out brunch at New World Bistro Bar every Sunday from 11am to 3pm. Love eggs? 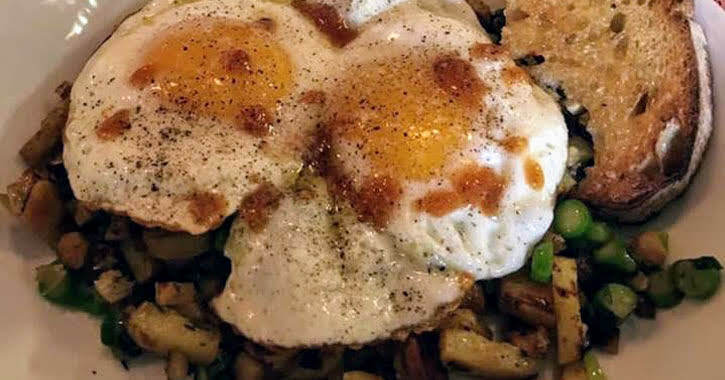 Capital City Gastropub has a number of fantastic egg options on their brunch menu: steak and eggs, pork and eggs, eggs Benedict, vegetable hash and eggs, short rib hash and eggs - they even have breakfast tacos! Build your own perfect brunch with one of their main entrees, a side of toast or other great options, and a brunch cocktail. If you're craving something a bit different for brunch they also offer a number of delicious burgers and pizza options, including a breakfast sausage and egg pizza! Brunch happens at Capital City Gastropub every Sunday from 10am to 2pm. 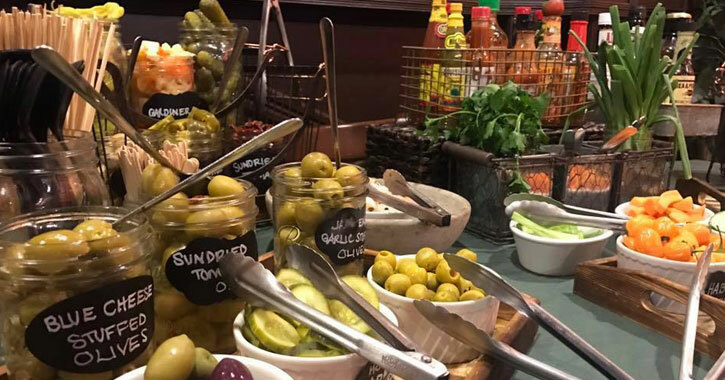 Vegetarians and veggie enthusiasts might want to try the Iron Gate Cafe for brunch, although they certainly have enough tempting options to suit all palates! There's the Phoenix Rising, a black bean burger with poached eggs, avocado, and pepper jack hollandaise sauce, or the garden state wrap with veggie sausage, avocado, peppers, onions, tomato, pepper jack, and scrambled eggs, just to name a few - and they have vegan options too. You'll also find signature sandwiches, stuffed French toast, Johnny cakes (corn bread pancakes! ), and much more. The best part of all might be that they serve brunch all day on Saturdays and Sundays. Savoy Taproom really steps brunch up a notch with cocktails and music! They host a Build Your Own Mimosa Brunch on the first Sunday of each month, a Build Your Own Bloody Mary Brunch on the third Sunday of the month, and a Jazz Brunch on the last Sunday. Food-wise, you can expect choices like a classic French crêpe, out-of-this-world buttermilk biscuits and gravy, and some unique options like breakfast bánh mì, a sweet Asian omelette with pickles, julienned carrot and cucumber, hoison, garlic aioli, cilantro, and pork belly or Berben & Wolff's seitan. You'll find a variety of egg sandwiches and omelettes at A Better Bite, and they also have a large number of outstanding sandwiches and specialty wraps. Keep your brunch traditional with an egg sandwich like egg and cheese with ham, bacon, or sausage, or try something different with a choice like Tel Aviv - egg, tomato, Zahtar spice, and imported Greek feta cheese. They also have amazing French toast! Stop by A Better Bite from Monday through Friday, 7am to 11:30am, or Saturday and Sunday from 8am to 5pm. Attention Mexican food lovers! You must make it a priority to visit ama cocina, known for their authentic Mexican street food, that yes, you can eat for brunch. 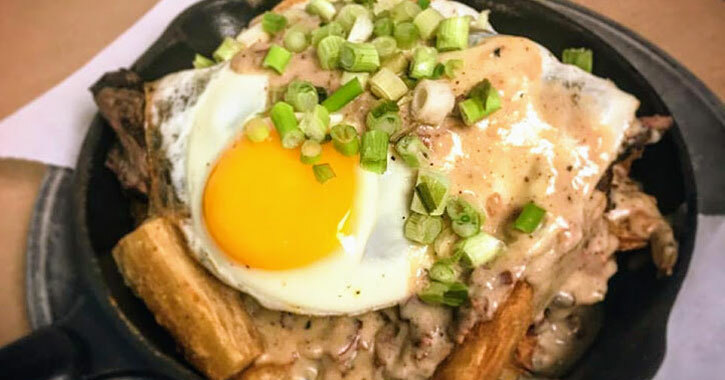 Try their savory steak poutine, pictured above, with yucca fries, white pepper sawmill gravy, bacon, and eggs sunnyside up. They also offer Mexican morning delights like huevos rancheros, mama's morning burrito, cheesy eggs enchiladas, and much more. You can enjoy your incredible Mexican brunch starting at 11am, Monday through Saturday. 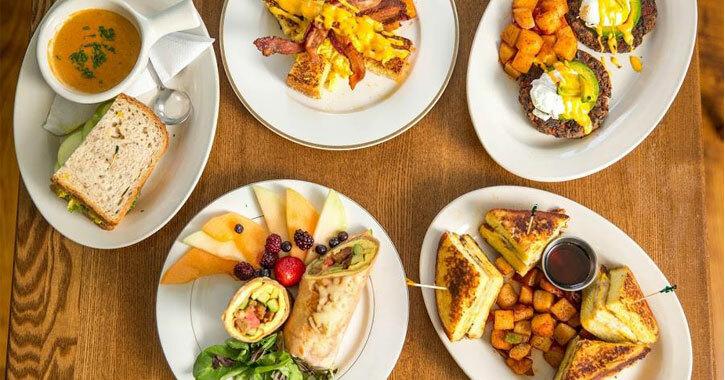 Cafe Madison truly has it all for brunch and breakfast! Their menu includes a number of appealing omelettes, "eggs and stuff," sweet treats, bread sides, and breakfast sides, so you can build the perfect meal. They also have options for specialty mimosas, bloody Marys, and seasonal brunch cocktails. 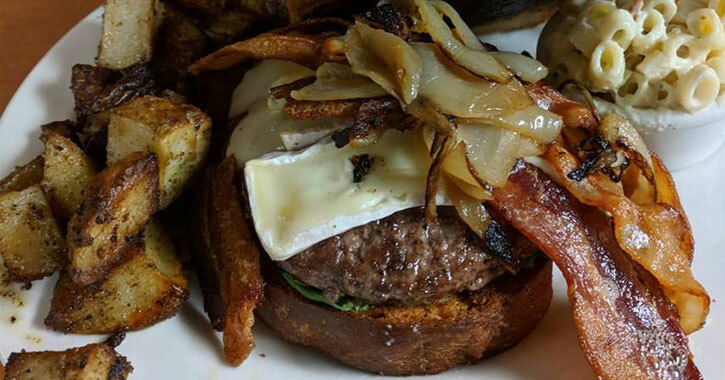 Or, opt for a succulent burger or delicious sandwich with brunch, as pictured above. This brunch hotspot is open for brunch, breakfast, and lunch Monday through Thursday 7:30am to 2pm, and Friday and Sunday 7:30am to 3pm. And, they have a second location in Loudon Plaza in addition to Madison Avenue that offers the same hours. Wellington's, located at the Renaissance Albany Hotel, has a strong focus on supporting area farmers and growers, so you can expect locally grown and produced ingredients in their meals. Because of this commitment to keeping it local, menu items and ingredients are subject to change based on the season and availability. 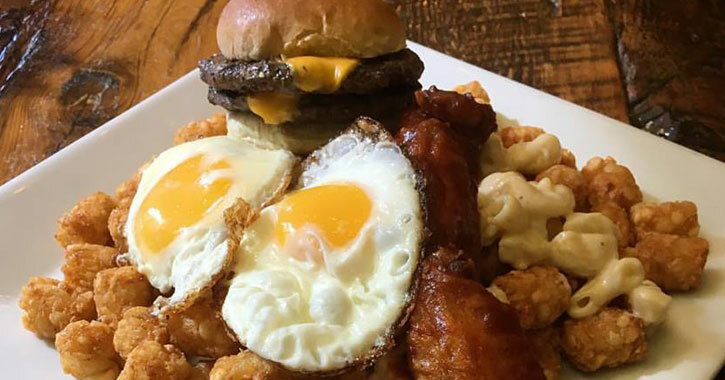 This restaurant even keeps it local in the names of several menu items, like the scrumptious Hudson Valley apple pancakes, the Capitol burger, and the 518 mimosa. Try their delictable brunch from 11am to 4pm on Saturdays and Sundays.